Selling – Buying – Supporting – Home Coming – Birthday – You Name It – Vinyl Banners are an affordable and durable way to get your message across. 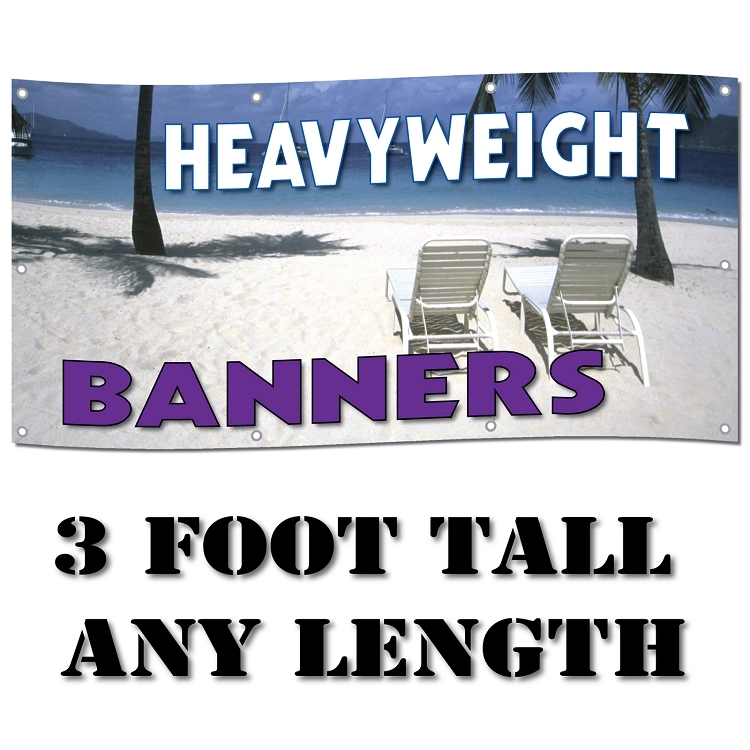 Whether you need a large FOR SALE banner to bring in customers or a full color photo banner for a birthday party, digitally printed banners allow you to customize any message you wish - placed front of your audience. 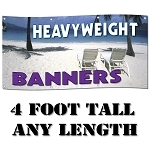 Heavy-Weight vinyl banners are printed on quality 13oz reinforced vinyl material, edges finished with 1 ½’ seams and grommets - suitable for both indoor and outdoor events. Banners sizes are typically printed in landscape orientation, (wider than tall), but can also be ordered in portrait orientation, (taller than wide). 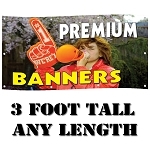 Note: 3’ banners have a finished width of 35 inches. Banner Design and Artwork: You can upload your finished artwork or send us the text you want on the banner. If you need custom artwork or design assistance, we have a talented graphic artist – please contact us for more information and design rates.